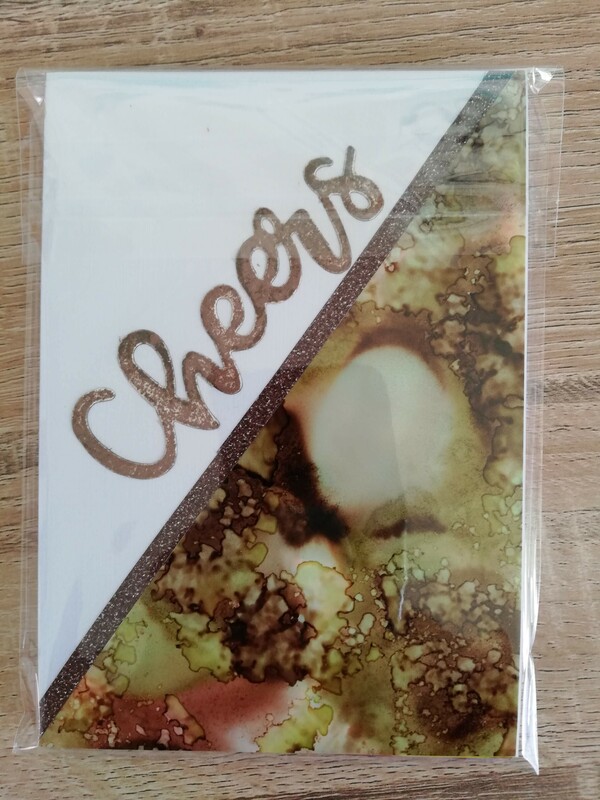 This entry was posted in Creations From My Craft Room and tagged alcohol inks, greeting cards, inkies, Jacinda Adern Prime Minister of New Zealand by thecontentedcrafter. Bookmark the permalink. Oh my … very well done Pauline, The style of the new cards is very me. 🙂 … Thanks for sharing the wonder words of your PM. Unfortunately, our leader doesn’t encourage the masses. … Hi Pauline, as I start to re-emerge … A head rub for the dapper Siddy. Hello Frank, welcome back! You guys need to find yourselves a good woman to run the country 🙂 Glad to hear the card style suits you 🙂 Siddy appreciates the head rub. Always nice to hear and see what’s going on with you and yours:) I won’t lie, I got a little jealous reading about Jacinda. Kindness. Sigh. I miss that here in the US. I miss so much lately. I miss the US! Not that things were ever perfect here, but our leaders exhibited more kindness and humanity. My friends and I are mostly sad with a good dose of despondency and anger. And yet, we persist as best we can. And the cards are beautiful and fun! All my American friends feel the same way as you Cheryl, and I’m sorry for bringing that home so strongly. Most certainly your Obamas were leaders to be proud of. Persist on, for all things pass and hopefully we learn from the hard as well as enjoy the easy. Oh yes, I miss the Obamas. And I’m an optimist and persister. I can’t help but believe this period will usher in better times. It’s always darkest before the dawn. I read a profile about Jacinda in the NY Times. She and her family sound so normal. Such a refreshing change in a politician. It is isn’t it. Let’s hope she starts a new trend. Being proud of one’s leader? What an amazing feeling that must be . . . We here in America wouldn’t know, at least not lately. Our leader gets more cringeworthy and detestable by the moment. The photo of Siddy cracks me up–he looks a little mischievous, just ready to go on a tear around the house. And your cards–what effort and creativity you put into these! I, of course, like the ones with cats best . . .
Of course you like the ones with cats best! I woke up this morning and wondered if I could sketch Siddy and Orlando side by side to turn into a card ….. now there’s a thought! Hello Mackenzie, and thank you – this is such a lovely compliment 🙂 I don’t have an Etsy shop, I do have a small shop here on my blog, you will see it under the top banner pic. I sell very little and mostly to readers of my blog on request. There’s a form on the shop page to contact me if there is something in particular you want, I am always very happy to try and meet needs. Please be aware though, I am in NZ and depending on where you are there are postage costs to consider. Thanks again for the lovely compliment and your interest. Oh perfect ! Thank you! that Jacinda! I’ve been meaning to catch her appearance on Colbert, but haven’t yet. I do like your cards. I hope that the offer of custom envelopes with some lures in buyers as well as admirers. Jacinda’s worth watching on Colbert, she handled him very well when he tried to get her to make a comment about Trump’s words. 🙂 She’s a little kiwi wonder woman! She WAS good! And pretty funny, talking about her partner knocking over a flag. I caught that one last night. Colbert is incorrigible. He wants everyone to say bad things, but not everyone can. They were on much better territory talking about Hobbiton. That first picture of Siddy’s eyes sure got my attention – Loved seeing the full version below. A lovely post. Your cards are amazing – love the little typewritten afterthoughts, especially. The cards, each little work of art, must be a joy to receive. Thank you Ginene, it’s lovely to see you come by again. The cards are beautiful. My favorite is “she packed up all her potential…”. Siddy is adorable no matter what his modeling pose. Thanks for ending with the words from you PM. At least there is one sane, intelligent person in the world. Let’s hope that sanity is catching. 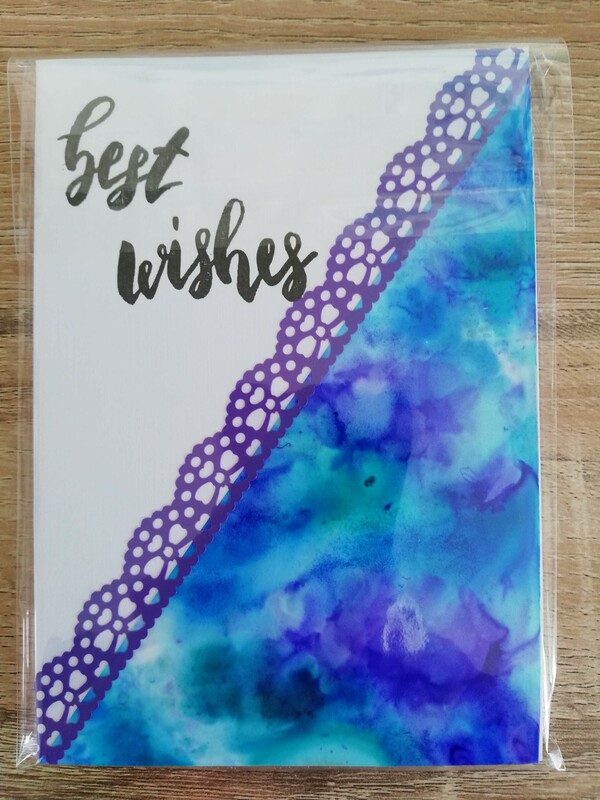 That’s a popular card SS, thanks for sharing your favourite too. I’m hoping our Pm can be a light for change in the world – wouldn’t that be a wonderful legacy! I was also equal parts heartbroken and hopeful from those words of your young, female Prime Minister. Bravo! Your cards are so beautiful, Pauline. You put so much love into each one. A treasure for anyone to receive. Siddy looks very handsome in his new bandana. And what tops off your post to make it all the more special are the words of your PM. Oh, how wonderfully marvellous to hear wisdom from the mouth of a politician. I was beginning to think it not possible. Thank you for sharing. It gives me hope for our future. It’s reawakened my interest in politics Norah – so many years of feeling it was all so much rhetoric and selling off and out for the almighty dollar – and now we suddenly have ideals and practicality and kindness……. It makes my heart swell with hope for the future too! The cards are lovely, my favorite is “She packed up her potential. . .” that is great! Siddy’s pic is priceless. He’s like “yes, everyone knows I’m adorable, now take the picture and be done.” And how wonderful to be proud of your leader and what a great message. Ours is such an embarrassment, his performance at the UN was ridiculous. I really miss the Obamas. The little motto cards are popular – I should make more! It is nice to be proud of our leader! I haven’t had reason to be for a very long time. Your situation is made worse by the Obamas immediately preceding the current incumbent. They were an admirable and graceful pairing! Siddy’s eyes in the header photo are adorable. I could hardly tear myself away to look at all the other loveliness in your post. 😀 Loveliness and laughter, I should say. I laughed out loud reading the card about singing opera in the shower. And, I, too, have been following Jacinda’s trip to the UN. I am so proud of her. It is indeed a lovely feeling to have a leader, a politician, whom I can truly admire. I went to hear Jacinda speak at the 125th Suffragette Event in Christchurch. She was brilliant, honest, natural, charming, strong, and kind! I am happy for you to have a fine leader. I can’t speak for all Americans, but personally, I found President and Mrs. Obama to be pride-worthy and the present one…embarrassing. I agree, Ginene. It’s been a hard transition for me, as well. From CLASS to CRASS. The Obama’s were much admired by me too. It made the change so much more appalling to witness! I was proud of the Obamas, too. I like leaders to be eloquent, coherent, and fundamentally decent. And there aren’t many like that! He took the initial nuclear free stance and was buried on my birthday many many years ago….. and I cried but no longer recall why. My political interest/understanding was opened by him I think and maybe that was why. I expect my political views were forming at about the same time. The nuclear issues, the Vietnam war and the right to vote at 18 were pivotal events in my political education. I don’t remember the voting age thing, maybe that came later – but the other two for sure! Ah Jill, you make me laugh! 🙂 And yes, my Siddy ❤ It's those big brown eyes …..
A lovely, varied, selection. Great humour. Excellent final quotation. Thank you Derrick. I confess I held my hands over my heart and blinked back tears when I heard her say those words – isn’t it what we want from all our politicians? You’re very talented. Those inky melt cards are gorgeous. And sometimes snail mail is the only way. Nice to have a PM you respect. All political careers end in failure of course or so the cliche tells us so a lot will be waiting for the fall. Here’s hoping she bucks that trend. I wonder if I’ll live to see the day here when a politician reaches that level. I doubt it if only because to reach the top of s party here you have to compromise so much you’re tainted before you get that chance. Ruth Davidson leader of the Scottish Tories hinted at s different possibility but she’s pregnant and says she doesn’t want the top job. Shame. Siddy thanks you for noticing. Your cards are gorgeous. I still love receiving mail, and will often send cards or even just a postcard to surprise someone with interesting mail. Thank you Joey. I love sending (and receiving) real mail too. We mustn’t let it die away! What a gorgeous array of cards, it looks like you have had such fun making them. My favourite is the bird with boots – so cute! I absolutely LOVE your Prime Minister and have shared quite a few things about her on Facebook. What a superb woman and what a superb role model. An antidote to the numpties who are trying to run/ruin the Northern Hemisphere. I’m very fond of the bird with boots too – I love quirky things like that! I love your cards but the amount I send out now has reduced massively. It’s a shame really but seems to be the way things are going. I probably only send out about 20 Christmas cards now whereas it used to be getting on for 100. I have started getting e-cards from people but I’m not keen and won’t send them myself although I do understand the reasoning behind them. Siddy is looking gorgeous – if a little suspicious. Of my three dogs only one will model for me willingly and even more so if I hold a tennis ball above the camera as he is on a constant mission to run after tennis balls. I saw a ‘dog selfie’ kit in a local shop the other day and wondered what it was. Apparently, it’s a tennis ball attached to a clip which then attaches to the top of your phone. Ridiciuous really – but It could work! Ooh, I didn’t mean to be ‘Anonymous’ – I forgot to click the WordPress button before publishing. I was trying to recall who I knew who had three dogs, thank goodness you said! 🙂 I think the tennis ball thing might possibly work for the cat, but Siddy would just want to play fetch with it and would never sit still ……. 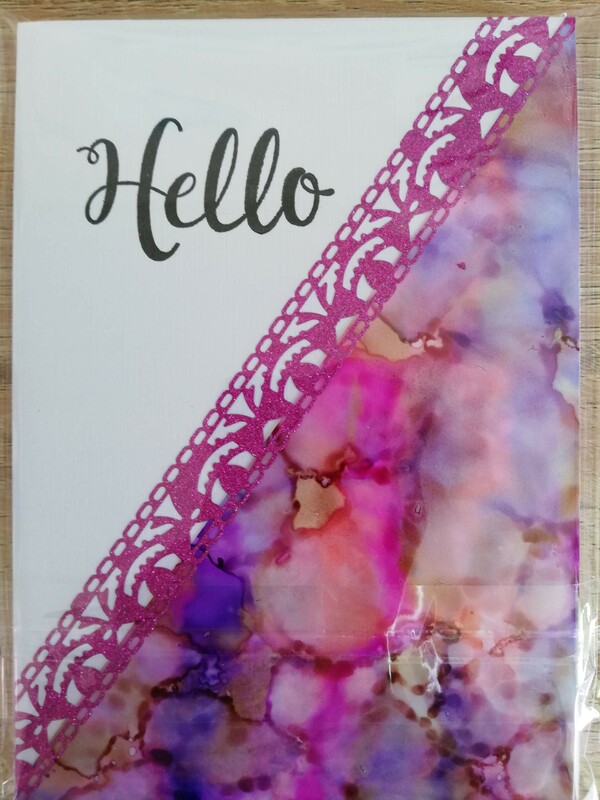 So what I didn’t say in this post is that I used to make big cards, A4 folded in half, now I cut the A4 in half and get two cards from the same sheet – and now post them for the same cost of the original card. Artistically it is more challenging for me to make small cards which is why I’m on this mission to try and crack a few styles that I like. But by the time I get there I’ll probably have enough cards to last the rest of my life and the next one too 😀 Like you I find the real thing far more satisfying than e-cards, though I have sent them and probably will again when postage becomes more erratic and ridiculously priced. Oooo! Such pretty cards! I love them all! People rarely send mail anymore. 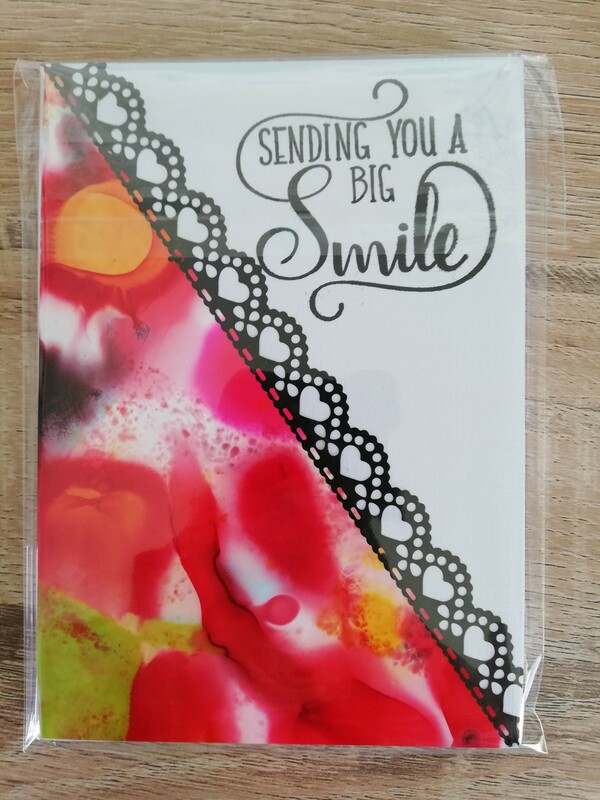 Often when I send a card they are so surprised! Siddy is looking quite full of himself in that bandana to me! Siddy reminds me of when I decided it was time to buy my then 18 year old son who has Down Syndrome, a suit. (he’s 23 now) He had no interest in suits before. Once I bought the suit and he put it on, I asked Mr Tom to take his picture. While poor My Tom was trying to get him to pose a more natural pose, I asked Mr Tom what was the problem. Apparently young men transform into dapper gentlemen with their suits on and only pose accordingly. Where do I start??? That’s such a wonderful variety of cards. I loved them all. They are so fun in different ways. I loved the lace look on the first batch, the cute cutout look on the second but I think by far the one that gave me the best giggle was the one where sometimes you need cake. You are so good at this. The problem I have with mailing some cards here is that if they are smaller or larger than standard size, the post office charges more. One thing for sure, Siddy is as dapper and adorable as ever. The cards are adorable!!! And then Siddy, too haha! Very very creative, Pauline. Yes, you may be a talented artist, young lady, but Siddy’s picture is the cutest of all! Siddy paid me to say that. Lovely cards! You make beautiful and distinctive cards Pauline.